Stop wasting countless hours manually trying to research keywords in the search engines and Google Play attempting to gain better ranking. Automate with Keyword Oracle! 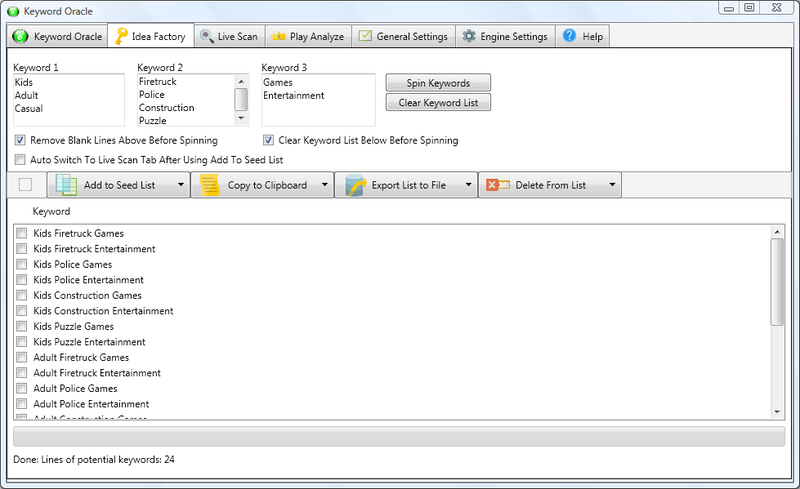 Spin base words into thousands of potential keywords to test by scanning in just seconds. Automated searches of up to 15 different keyword database engines all at once! After Scanning Google Play with Live Scan switch to Play Analyze to check your competition. Helps to prevent you from becoming auto banned by search engines by using smart pause. Up to 72 Different Countries / Languages supported depending on the search engine(s) selected. Use the default wildcards or create your own for maximum keyword discovery. Search up to 15 different engines including Google, Google Play, Yahoo!, Yahoo! Video, Bing, YouTube, AOL, Wikipedia, Amazon, eBay, Google Shopping, Google Images, Ask, Nextag and Yandex. More will be added over time! By licensing the Standard Version of Keyword Oracle and supporting us as an early adopter of our product, you will be first in line receiving a FREE UPGRADE of Keyword Oracle upon release of the Professional Version! For a limited time all new purchasers will receive a license good for a LIFETIME of free upgrades and LIFETIME of free online support. Another benefit of becoming an early adopter of Keyword Oracle! Standard Edition supports 15 different search engines. As a Developer you know that finding unsaturated effective long tail keywords is ABSOLUTELY NECESSARY to receive a high number of visitors to your website or DOWNLOADS of your app in the Google Play Store. Every experienced Developer knows that a LOT OF VISITS TO YOUR WEBSITE OR A LOT OF DOWNLOADS FROM GOOGLE PLAY = MORE $$$. It seems straight forward enough. Build an awesome website or awesome Android Application and CERTAINLY people are sure to visit the website or download the application and CLICK ON YOUR ADS. Simple enough right? The problem is that there are millions of websites in the search engines and millions of apps in the Google Play Store and hundreds of thousands of developers looking to achieve the same exact same thing as you. Without EFFECTIVE LONG TAIL KEYWORDS they are beating you out for position in the search engines and app store listing indexes and in turn are they are killing your profits! So what does a wise Developer do to address these difficulties? They use a SPECIALIZED LONG TAIL KEYWORD TOOL! Using a specialized Keyword Tool is a critical step to helping you find those important Long Tail Keywords in a fast, efficient and automated manner. Most keyword tools are designed for finding keywords FOR WEBSITES ONLY and usually from just a few sources. They search places like the Google website main search index or perhaps from Yahoo. Most keyword tools are NOT designed with support for 15 different search engines and most ignore mobile developers entirely. Keyword Oracle includes ENHANCED SUPPORT providing for additional focus specifically for the Google Play store. Many tools (most actually) focus on using the Google AdWords Keyword Tool (GAKT) exclusively which will not do a thing for you in regard to finding keywords for your Android application and totally ignore other search engines entirely. THIS IS WHERE “KEYWORD ORACLE STANDARD EDITION” SHINES AND IS HERE TO HELP! If you have a general idea of what “area of topic” that you wish to target for potential keywords but you do not want to manually type out each line of search words by hand then use the Idea Factory! You can automatically generate a huge list potential Keywords to then use with the Live Scan feature with very little effort. In the example above 24 lines of keywords were generated by the Idea Factory in seconds by only entering 3 keywords in the first column, 4 in the second column and 2 in the third column. If you were to use 10 keywords in the first column and 10 keywords in the second column Keyword Oracle would generate 100 lines of potential keywords (10 times 10 = 100). If you were to then also add 10 keywords into the 3rd column as well then you would have 1000 LINES OF POTENTIAL KEYWORDS. You can see how using the Idea Factory can save you a lot of typing. It helps to harness your creativity to quickly flow from an idea concept into to the Live Scan feature where you can start looking for actual live keywords. Keyword Oracle can even automatically move the new potential keywords into the Live Scan search for you. You can also copy the results to your clipboard or export the result to file. The Live Scan tool takes the potential keywords you enter and scans up to 15 different search engine databases (you choose which ones you want to scan) including the Google Play database for “auto suggest” keyword matches. The “auto suggest” keywords returned by the search engines are based on the actual live data being entered by their site visitors. This means that you will quickly be able to scan for, collect and utilize the data returned by the various search engines to make sound judgment calls for your Keyword Strategy. The results shown above are actual results returned from, in this example, Google Play. The ordering represented above is the exact order returned by Google so you have a direct visual representation of the priority of matched keywords on Google Play!! Two advanced features of Live Scan work for you to assist in finding even more keywords. They are the WILDCARDS and ITERATIONS functions. The WILDCARDS function works by inserting “wildcards” in front of or behind the search phrases you provide. By default the letters A – Z are pre-populated in Keyword Oracle. Keyword Oracle does allow you to modify, add, remove or otherwise do as you wish with the Wildcard list. If you want to set your wildcard list to only “Ab Be Gr Mo” you can do so (not sure why you would but you CAN). The ITERATIONS function will take the set of “keyword results” returned to you by your selected search engines search results and then RE-INSERT those results back into the search engine to provide even a more refined result set. 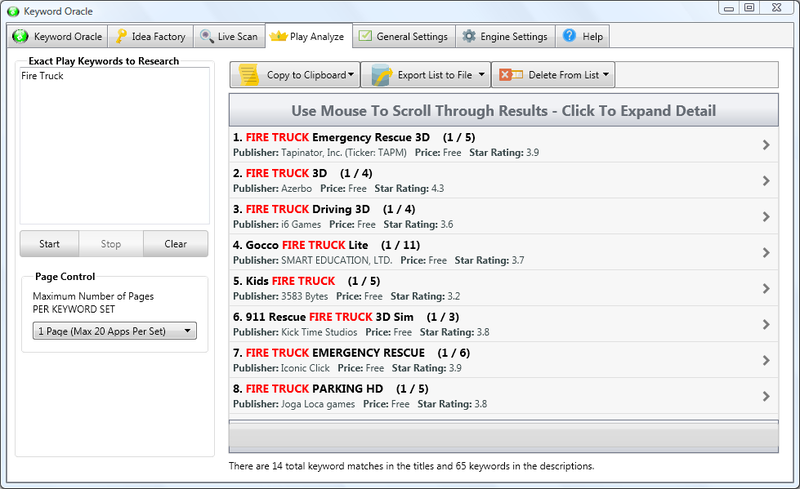 In the screen capture example above simply starting with the keyword “fire trucks” resulted in the lines of keywords shown above. This was from running the results back into Google Play 3 times. The Iterations function is very powerful and you will find it very helpful in your research efforts. Play Analyze is one of the most important features of Keyword Oracle specifically for Android App developers. So at this point Live Scan has been used to find the keywords that are actually being typed into Google Play by people searching for Apps but now you need to know how your COMPETITION is using those keywords. Keywords that are saturated by other listed apps in Google Play are not a wise keyword target as achieving a high rank will most likely be very difficult or impossible. Why waste your time on keywords that do not MAKE YOU ANY $$$$? The Play Analyze feature of Keyword Oracle will take the keywords that you provide and query Google Play and then collect lots of useful data for you. From one screen you then will be able to see how many apps are being returned by Google Play when those keywords are entered. You will also be able to see how many apps are using that EXACT KEYWORD MATCH in their app titles (not good for you). Another AWESOME feature is that Keyword Oracle not only will tell you when their is an exact match in the Title but ALSO the number of times the keyword is used in the DESCRIPTION of the app. 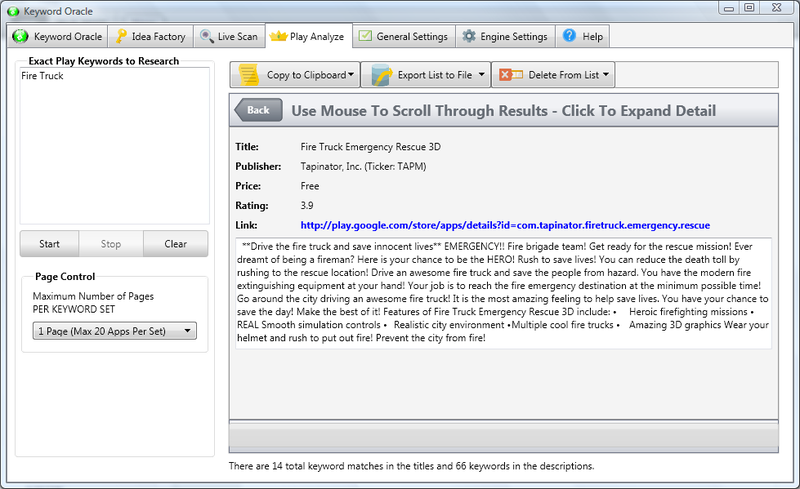 The first example above FIRE TRUCK Emergency Rescue 3D is ranked in 1st position. It indicates who the publisher is, what the price is and what star ranking is currently for the App all based on live data collected just moments before you started your scan. If you notice the results include a (1 / 5) indicator following the description. This data indicates that there is ONE MATCH for the keywords in the title and 5 MATCHES for the keyword in the description. By clicking on the App Summary in the listing you will access the detailed data for the app including the description and a link to take you directly to the full listing in Google Play. More details are offered below. 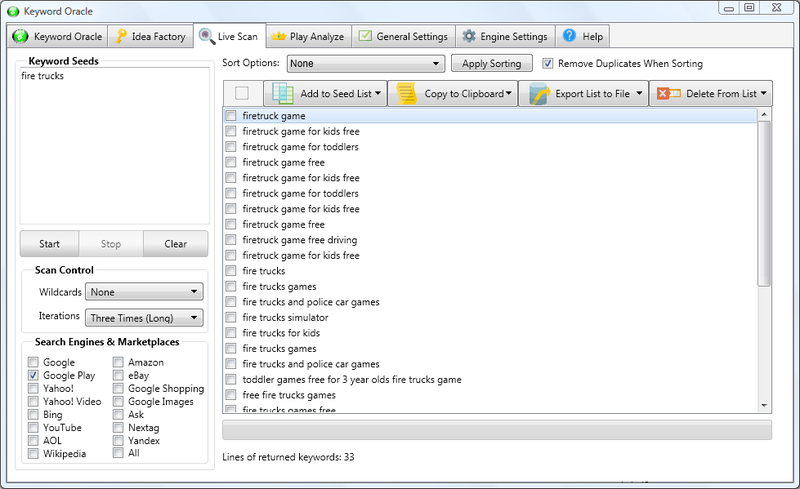 The above is an example of the detail screen accessed by clicking on a specific app “summary listing” while using Play Analyze. You will notice that the App’s description is displayed and also a clickable link to take you directly to the Google Play Store listing for the application so that you can review the complete listing with all logo graphics and videos. This will save you a lot of potentially wasted time while you perform your final keyword analysis. General settings allows you to control the spam protection aspects of the software, a few setting toggles and view the activity log. 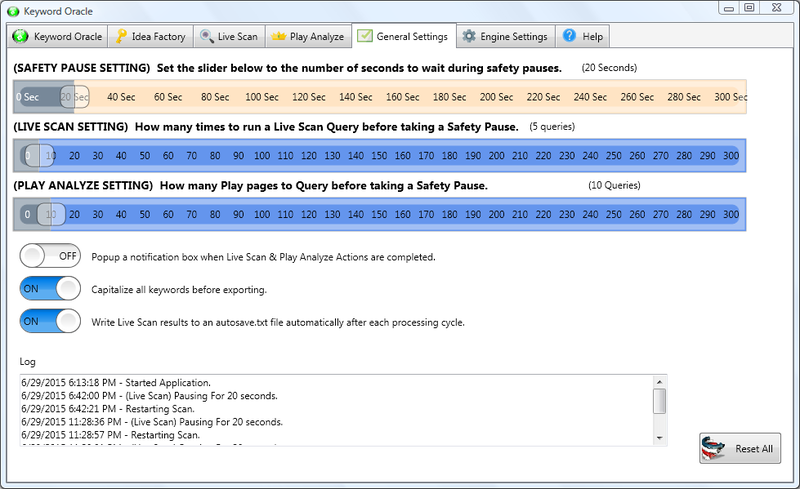 The safety pause setting tells Keyword Oracle how long to pause when either a LIVE SCAN SETTING trigger level or PLAY ANALYZE SETTING trigger level is met. The LIVE SCAN SETTING is used to tell Keyword Oracle how many times to request a “page” of data from a given search engine before causing a “trigger event” which will cause the application to pause. These pauses help prevent the search engines log monitoring processes from noticing frequent repetitive access over and over from your computer which can help prevent from receiving a temporary ban from the search engine. The PLAY ANALYZE SETTING works just like the LIVE SCAN SETTING does but is for the Google Play store specifically. The reason for this is that a single keyword scan can return up to 100 apps on multiple pages which means 1 keyword might generate 5 page requests. This gives you better control over the page scan frequency of Keyword Oracle in regard to the Google Play store. The three toggles basically deal with options involving Pop Up Completion Notifications, Keyword Auto Capitalization and Autosaving to a log file. Finally there is a log for troubleshooting operations (or simply just to see what Keyword Oracle was doing at a specific time). Engine Settings allows you to select which languages / countries that you want to use to query each particular search engine during keyword scanning. Some search engines use a common server to process all languages / country settings and some have different server locations for different languages / countries. We did extensive research to make sure that we properly implemented support for each of the search engines we included. Regardless of the method used by each supported search engine we approach it correctly and without taking shortcuts. For example, technically you can query the United States based google.com website using Spanish as your search language BUT you will get a different set of results than if you were to query the Google server for Argentina or Spain using the Spanish language. If the setting in Keyword Oracle indicates that it is “Spain – Spanish” then we are actually sending queries to the Google server used to serve data to Spain and using the Spanish language. NO SHORTCUTS! Again, we put a lot of time into research to ensure that we provide you the best product possible – furthermore to keep things up to date we will release new versions as necessary to adapt to any changes make by the various search engines that might break functionality in our application. Wikipedia is a special case search engine where we included support for the top 12 languages (there are hundreds in total on Wikipedia) with the qualifying criteria for us to select those top 12 languages being that each has at least 1,000,000 Wikipedia articles. There was no point including languages with 100, 1000 or even 10,000 articles as there would be limited usefulness for generating keyword ideas as the Wikipedia support is more for “word concept research” vs actual “search engine POSITION indexing”. In other words, Wikipedia is a great way to gather useful search words by TOPIC. As far as we know Keyword Oracle is the only Keyword Research Tool that includes Wikipedia features as part of the product. The 12 Wikipedia Languages supported are: German, English, Spanish, French, Italian, Dutch, Polish, Russian, Cebuaro, Swedish, Vietnamese and Winaray. We stand behind our products. If Keyword Oracle doesn’t work exactly as we have described and you are unhappy with it for any reason just let us know within 30 days and we will refund your money. NO catches, NO hassles, and NO questions asked. Either you’re completely happy with your purchase or we will cancel your license and refund your money. Period. Can you ask for a better Risk Free Offer? 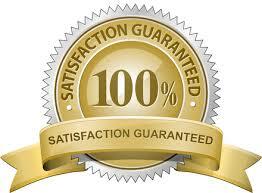 We are absolutely sure you will love the software and how it saves you hours of work. For A Limited Time, “Keyword Oracle Standard Edition” Is Available For A Special Introductory Price. You can either continue to hand scan Google, Google Play, Yahoo!, eBay, Bing, YouTube and others spending countless hours trying to find profitable keywords — or you can use Keyword Oracle. Keyword Oracle will help you quickly scan for and discover tens of thousands of long tail keywords that you are missing currently. And, best of all, Keyword Oracle is available right now for IMMEDIATE DOWNLOAD for a SINGLE PAYMENT of… just $69.95… for the Standard Edition. Honestly, even at a price of $150, Keyword Oracle is still an AMAZING VALUE. Your time is worth money. 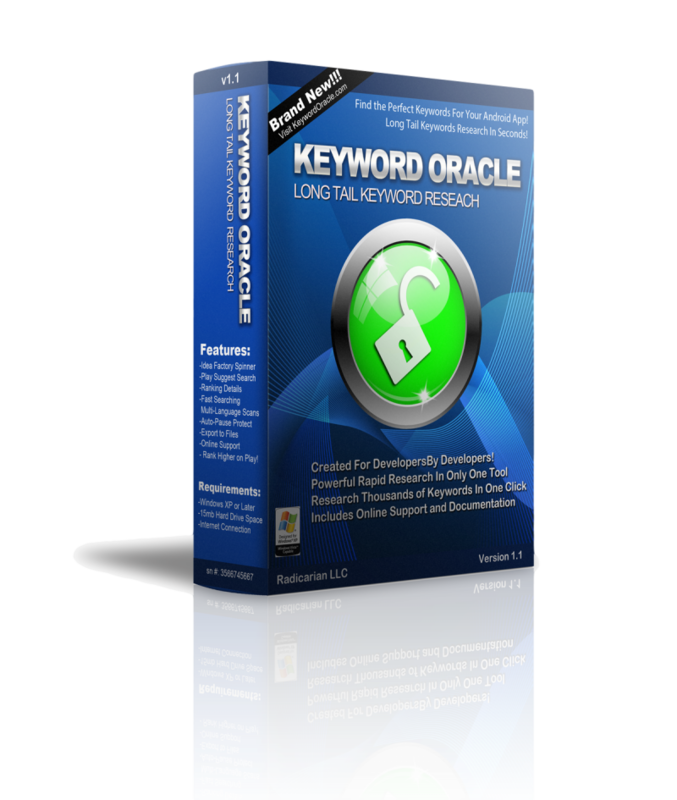 Keyword Oracle is a tool that will pay for itself in no time by saving you countless hours of work. Currently Keyword Oracle has been released as two editions: “Keyword Oracle Lite Edition” and “Keyword Oracle Standard Edition”. This means all the features and functions described above for developers are currently available but more features are already being developed. As an early adopter of Keyword Oracle all purchasers of the Standard Edition are eligible to receive a FREE UPGRADE to Keyword Oracle Professional Edition when it is released. What is the difference? The Professional Edition will contain additional search engines, automated Proxy rotation support and more. Once the Professional Edition is released (which will be sometime in 2015) this free upgrade offer will no longer be offered to future purchasers of a Standard Edition License and will be required to purchase the Professional Edition directly. Save money in the future by licensing a copy of Keyword Oracle Standard Edition today! SO ACT NOW TO RECEIVE THE FREE UPGRADE UPON RELEASE! The last tool you will need for Long Tail Keyword Research. Keyword Oracle™ is a trademark of Radicarian LLC. All Rights Reserved. Google™, Android Market™, Android™, Google Play™ are trademarks of Google Inc. All Rights Reserved. Yahoo!™, Yahoo! Video™, Bing™, YouTube™, AOL™, Wikipedia™, Amazon™, eBay™, Google Shopping™, Google Images™, Ask™, Nextag™ and Yandex™ are all trademarks of their respective owners. Radicarian LLC does not imply, directly or indirectly, endorsement or certification of its products by any trademark owner referenced above.